Here it is, my first post in 2015. I just came back from two amazing weeks abroad, and feel more determined and motivated than ever to start another year of blogging, sharing with you my love for art. Traveling around, and hearing so much positive things about The Bubblist filled me with joy, I’m lucky to have such incredibly smart and supportive followers. The year sadly started with a tragic event in Paris, a devastating attack against freedom of speech, liberty and culture. As an unconditional supporter of art under all its forms and of freedom of speech, we were very touch by what happened. That event just reinforced our willingness of being an open platform sharing contemporary art from everywhere, without borders and always with an open critical mind. Despite the stupefaction of the last few days, I wanted to start the year on a positive note,and share with you one of my favorite new application : Arbit. This smart app ( that you can download on Android and Apple IOS), will completely change the way you experience art. Of course there is nothing better than meeting a work of art in the flesh, but Arbit will allow you to discover the story behind the piece of art. How to use it? Just take a snap at a work of art, and instantnly know everything about it. But it’s not it. Arbit powered a lot of exhibitions in Israel ( recently Ella Amitay Sadovsky’s exhibition that open yersterday at the Gordon gallery in Tel Aviv), but also give you acces at the stories behind international artworks, art fairs and exhibitions. Arbit also tells you what are the museums and art galleries around you on a map. Even if technology is a bit taking over sometimes, this app is very smart and fun to use. 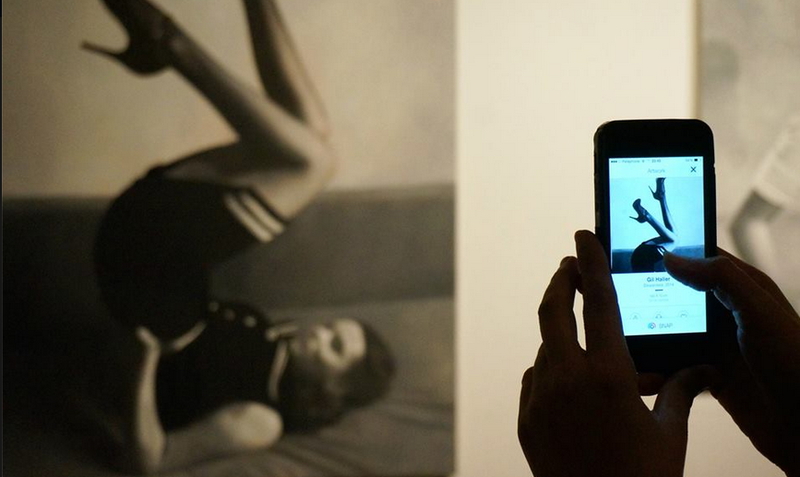 A must have in your phone to start 2015 on an arty note.